Films are made to entertain people and there is no other reason to include them. However, movies often become victims of politics and social causes. To release each movie in a certain country, it is necessary to withdraw from the censorship board. Criteria of boards vary from country to country. The story is similar to Indian films in Pakistan. Once the same land was divided during the war of independence, and since then there has not done any good work between the two countries. Even if there are big parallels and Bollywood movies are extremely popular on the other side of the border. However, many films have failed to meet Pakistan's censor board and they have been banned. Since 1962, Indian films and media were completely banned in Pakistan. However, it was withdrawn in 2006 and then Bollywood films had to pass the board to screen. Here are the top 10 Bollywood movies that were banned in Pakistan. It was a 2010 comedy film that was banned in Pakistan. 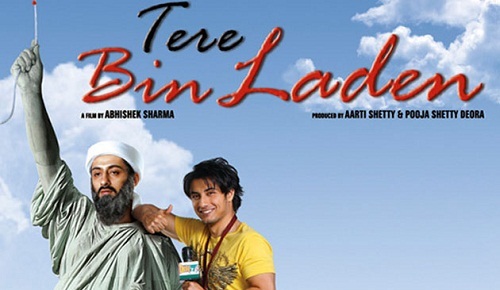 This film was based on Osama bin Laden's appearance and was plotted in Pakistan. For the title of the movie, the fear of Islamic extremists was the reason for the ban. The interesting thing is that a Pakistani actor Ali Zafar was in the lead role of the film. Vidya Balan's 2011 starring film was banned in Pakistan. No explanation was given in that regard, but the most obvious reason for making explicit material restrictions was the most obvious reason. In 2011, Imran Khan's movie film was also banned. There was no clear reason given, but there could be a reason for adultery or explicit material action. In Pakistan, the blockbuster movie of 2012 was banned. The film of Salman Khan's film had anti-Pakistan content and this was the reason that the film was not allowed to be displayed in the country. Agent Vinod was also banned in 2012. Saif Ali Khan's film film ISI, was formed against the Pakistan Intelligence Agency. It was banned due to anti-Pakistan sentiments. In 2013, the biography of athlete Milkha Singh was banned. The film showed violence during the partition of India and Pakistan was not shown in good light. This could lead to a ban on the film. The film played Farhan Akhtar in the lead role. This 2013 movie was banned due to the story. The film showed that a Muslim girl and Hindu boy fell in love with each other. Due to the story, Shahid Kapoor's movie movie was banned in 2014. It portrayed the Kashmir revolt and it is a sensitive issue in Pakistan. Akshay Kumar's film maker film on terrorism in India was again banned in 2015. The story was again a criminal for the film. Saif Ali Khan and Katrina Kaif Phantom have already been banned in Pakistan before the screening of the worldwide film, the reason being that the story is against the judiciary of Pakistan.